KTMtwins.com KTM Motorcycle and Product News: Revolution in Motorcycle Battery Technology Coming Soon! 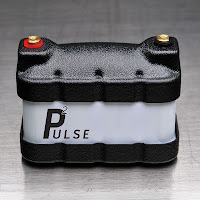 Revolution in Motorcycle Battery Technology Coming Soon! The world's most advanced motorcycle batteries are coming to KTMTwins.com soon. Keep posted here for most information in the coming weeks!